The biggest gripe of range day has got to be loading magazines. 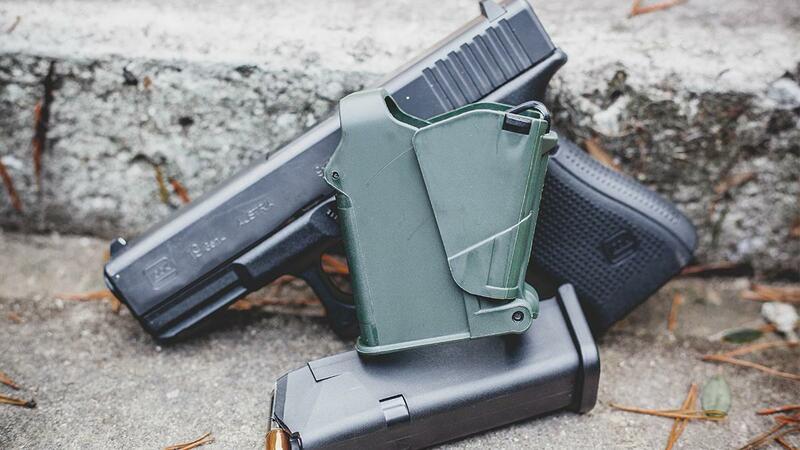 Not a single shooter I know enjoys the arduous task of loading rounds into often stiff and difficult mags; however, there is one company looking to alleviate the annoyance by making the process a little easier. 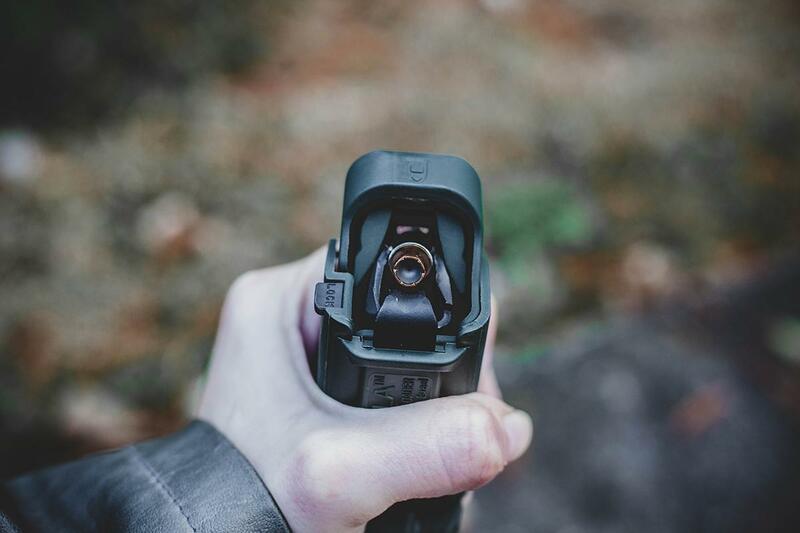 Maglula burst onto the scene with an innovative approach to mag loading, offering a variety of devices for just about every shooting platform. The Uplula is one of its products – a pistol mag loading device created for 9mm to .45 ACP magazines. Guns.com wanted to find out if the Uplula really lives up to hype and if it’s worth the nearly $40 price tag. The creation of parent company, Maglula, Uplula seeks to alleviate the sore thumbs dilemma of mag loading while also making the process quicker and easier. Designed for pistol shooters, the Uplula loads 9mm to .45 caliber single or double stack magazines. The company doesn’t just offer an Uplula for pistol shooters, it has various versions of “Lula” depending on what caliber pistol or rifle you prefer. To use the Uplula, users slide an empty magazine into the UpLula, ensuring that the magazine is seated into place. Once seated, users squeeze the mechanism on the side of the Uplula while pushing down on device. This force causes the Uplula’s press to engage the magazine follower, moving it downward and allowing a round to easily slip into the magazine. When the round is in place, release the side mechanism and pull up on the device to allow the follower to naturally move back into place. The process remains the same until all rounds are loaded into the magazine. Is the Uplula worth it? When the Uplula was first recommended me, I’ll admit, I didn’t quite understand the fuss. I had been loading magazines on my own for a decade and couldn’t imagine using a device to do it for me. The sore thumbs and fussing as I struggled to get rounds into tight magazines were just par for course as far as I was concerned; but I decided to check out the Uplula and see why it had captivated so many of my shooting friends. Sitting at my desk, Uplula in hand, I decided to tackle one of my newer Glock magazines that was still a bit stiff and a pain to load. Following the half sheet of included instructions, I slipped the Glock magazine into place inside the Uplula and set about loading the magazine. My first observation, the Uplula definitely preserves thumbs. My biggest complaint over the years loading my own mags is always that it kills my thumbs; but as the Uplula’s press navigates pushing against the magazine follower, my thumbs were spared. This also enabled me to load the magazine quicker as I didn’t have to stop to allow my thumb to recuperate. Maglula claims that the user can achieve up to one round per second loading. Its claims are pretty accurate. With the Uplula I blazed through the mag loading portion of my pre-range prep tackling several magazines in just a few minutes. On the range, reloading was also quick allowing for more time shooting and less lane time wasted hunkered over my magazines. Additionally, the Uplula is extremely helpful for those shooters who experience weakened hand strength or have an injury that may prevent them for reloading magazines the standard way. 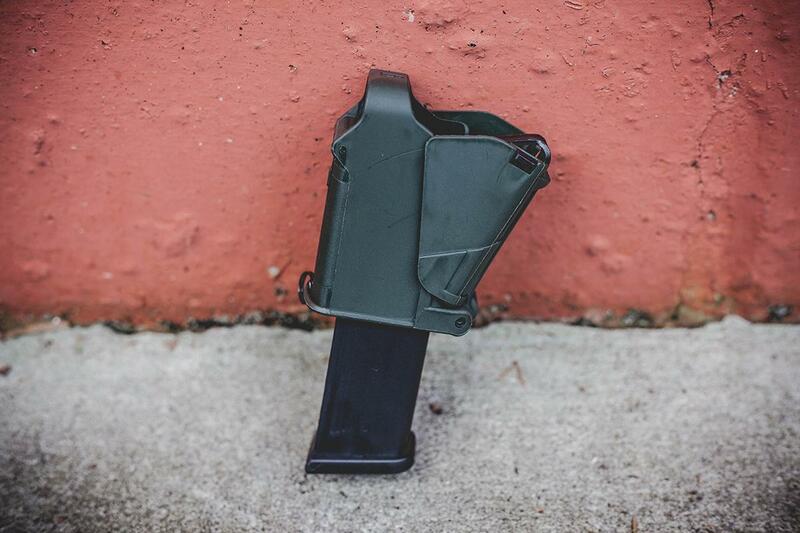 By reducing the amount of force supplied by the hand and instead relying on the Uplula’s press, the device makes it easier for those with less strength in the hand to achieve a loaded magazine. While the Uplula is definitely handy to have in the range bag, there are some drawbacks. I found that there was a slight learning curve when I first received the Uplula. It wasn’t terribly difficult to figure out, but the included instructions didn’t offer much help. Also, the Uplula shouldn’t replace teaching students or new shooters how to actually load magazines themselves. It’s important that new shooters get the feel for loading their mags the old-fashioned way in the event an Uplula is not on hand. Available in a variety of colors, the Uplula is a must have in any range bag. 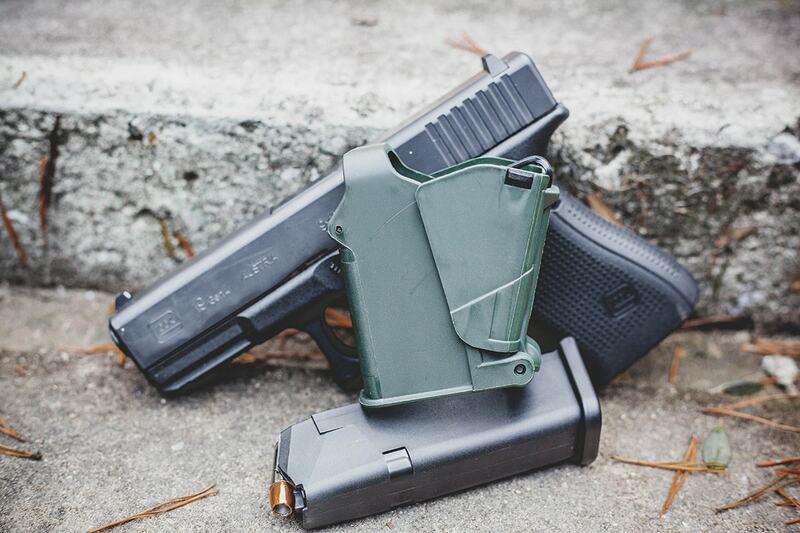 Offering shooters a means to quickly and efficiently load magazines, the device saves thumbs and time on the range. While it shouldn’t replace knowing how to load one’s own magazines by hand, it’s a great tool for shooters who lack the hand strength to effectively load mags or who simply don’t want to deal with the exasperating task of mag loading. Offering compatibility with most major firearm manufacturers, the 9mm to .45 ACP Uplula is available from sporting stores with a MSRP of $35.